ATCHISON — This year’s annual Benedictine College Scholarship Ball will be held the evening of Feb. 23 at the Overland Park Convention Center. This year’s co-chairs are Kevin and Colleen “Cocoa” O’Malley and Lene Westerman. The scholarship ball includes dinner, awards, entertainment and dancing to live music by the Michael Beers Band. This year, there will be a special recognition of the Raven football team that went to the NAIA national championship game. More information and reservations are available online at: www.benedictine.edu/scholarship-ball. Each year, the ball also features the presentation of the Cross of the Order of St. Benedict to a select set of honorees. The college established the award in 1969 as a way to recognize alumni and friends who have supported charitable institutions, provided civic or religious leadership, and demonstrated professional excellence. This year, the prestigious award goes to the Byron and Jeanne Thompson family in recognition of its longtime commitment to overall philanthropy and support of Catholic education. Following in the footsteps of Byron and Jeanne, the Thompsons have continued their parents’ legacy by supporting nonprofit and charitable institutions throughout the Kansas City area. For 30 years, they sponsored the annual Amy Thompson Run for Brain Injury in support of the Brain Injury Association of Kansas and Greater Kansas City. In 2015,Paul and Mary Thompson chaired the 2015 Catholic Charities’ Snow Ball. 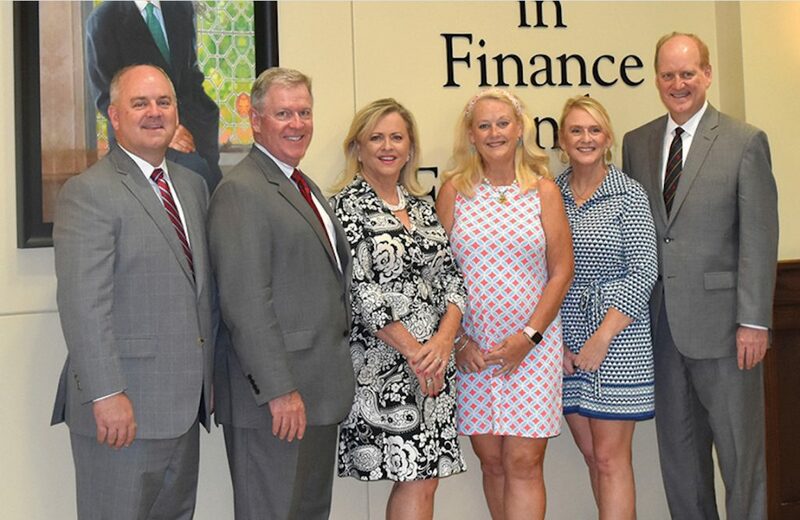 Nonprofit Connect later named Country Club Bank the Business Philanthropist of the Year.